Aluminum plastic composite panel is composed of polyethylene core and two thin aluminum sheets on top and bottom. The surface is coated with PVDF or polyester. 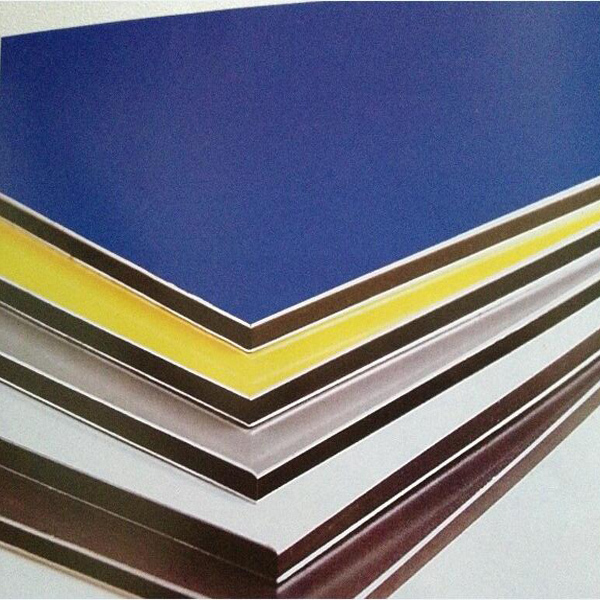 It is widely used in outdoor advertising, signs, decoration, wall cladding and ceiling systems. Looking for aluminum composite panels offering high mechanical strength, extreme rigidity, and excellent surface at a very affordable price? You are absolutely at the right place, Wuxi Brilliant’s panels are widely used across the globe in the field of transports, buildings and industries. 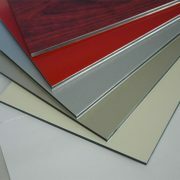 Our aluminum sheets are made up premium quality raw materials and are available in number of different colors. Order any aluminum composite panel from our range and enjoy exclusive discount offers and deals with limited time free shipping. We Holds extensive experience and expertise as a leading aluminum composite panel manufacturers used in commercial buildings, shopping malls, factories, and hospitals. Our aluminum composite panels are tailored intelligently with a flat panel customized with two aluminum alloy sheets that are adhered to a non-aluminum core that bonds together as a composite. ACP boards are widely used for cladding and façade compositions in buildings for insulation and signage purposes. Our offered ACP is innovatively designed in light weight, rigid and durable design with excellent fire resistance. With low installation cost on our panels, our aluminum panels are weather proof with anti- color fading properties that makes it best to withstand sunlight. Wuxi Brilliant Technology Co., Ltd. Is an original and high-quality aluminum composite panel manufacturer that aligned its product to minimum eco impact through responsible material recycling. We offer ideal finishes for your designs with some various styles and colors that are not just beautiful but environmentally friendly. Being an innovative ACP manufacturers, we have encouraged customer to go beyond conventional designing by enabling new designing possibilities and endless varieties. Our job doesn’t end only by delivering your order rather for a better environmental future all of our products are made with recyclable material. Aluminum composite panels are widely used as a most preferred material used in building construction and indoor decoration. We are engaged in the manufacturing and supplying process of top quality aluminum composite panels with years of experience. Our manufacturing process is based on the motive to continually provide endless customer opportunities for decoration, roofing and advertisement purposes. Our design is made by using colors, patterns, materials, and shapes that reflect creativity and innovation at all ends. Aluminum plastic composite sheets are made with polyethylene core encapsulated with two thin aluminum sheets on both ends. Our range of composite panels is used commonly in outdoor advertising, signage, interior and exterior decoration, wall cladding and many other applications.